Black Panther was a record breaking monster at the box office upon its release in February of this year. The Marvel Cinematic Universe film smashed initial projections and continued to earn and break records, joining the $1 billion club in the process. The Ryan Coogler-directed movie became a cultural phenomenon, gaining moviegoers who would not usually go to a comic book movie. After all of the accolades for the first superhero flick with a predominately black cast, Sean Diddy Combs still isn't impressed by all of the hype. 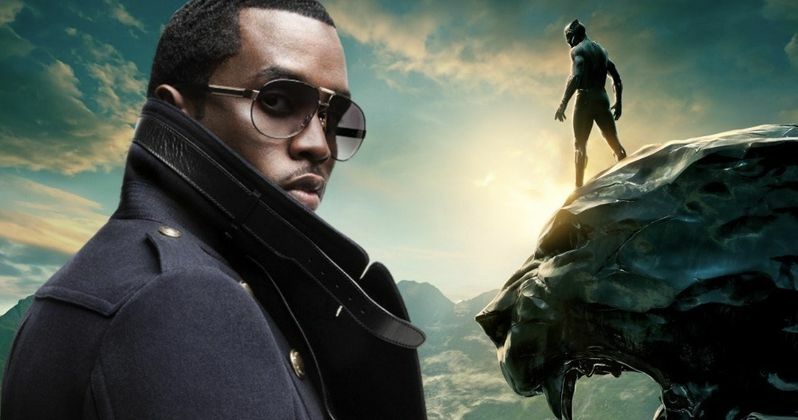 In a new interview, Sean Combs stated that Black Panther was a "cruel experiment." Diddy believes that the Marvel movie was a baby step towards something that should have already happened years ago. The rapper/producer/actor doesn't think that the film was a game-changer. He explains. "Black Panther was a cruel experiment because we live in 2018 and it's the first time that the film industry gave us a fair playing field on a worldwide blockbuster, and the hundreds of millions it takes to make it." Sean Diddy Combs went on to talk about the lack of black men and women in higher up positions at studios and record labels, even after black artists have made a ton of money for the respective studio. It's for this reason that Diddy doesn't believe that Black Panther is that big of a deal in the grand scheme of things. Samuel L. Jackson has made similar points about the Marvel film solving inclusivity issues in the entertainment industry. Diddy continued, saying this. "For all the billions of dollars that these black executives have been able to make them, (there's still hesitation) to put them in the top-level positions. They'll go and they'll recruit cats from overseas. It makes sense to give (executives of color) a chance and embrace the evolution, instead of it being that we can only make it to president, senior VP. There's no black CEO of a major record company. That's just as bad as the fact that there are no (black) majority owners in the NFL. That's what really motivates me." Sean Diddy Combs wasn't impressed with Black Panther and he wasn't surprised by its success either. He says that when black creators are given the proper resources in the entertainment industry, they constantly "over-deliver." Diddy went on to say that Black Panther and everything else with success that big is all about access to the proper resources that should have been there all along. Black Panther is currently the highest grossing superhero movie in North America of all time with a total earnings of $699.8 million and the 4th highest superhero worldwide. If that wasn't enough, there has even been Academy Awards talks for the Marvel Cinematic Universe film. Sean Diddy Combs is not impressed by the accolades that Black Panther has received in the last several months, but it's not because he didn't enjoy the movie, it's more about the politics in the entertainment industry. You can read more about what Diddy had to say at Variety.